About 150 steps from John Imperato's Southern California home, pavement gives way to an ever-shrinking stretch of soft sand. Imperato lives in Del Mar, a small, affluent town just north of San Diego. He spent his life savings to live here. He wanted to raise his son like he grew up, within walking distance of the sea. Del Mar is a picturesque place; its name means "of the sea," in Spanish. Del Mar is one of countless coastal communities in California and across the U.S. that is seeing the impacts of climate change and preparing for worse to come. By midcentury, tens of millions of U.S. homes and billions of dollars of property are likely to be destroyed or made unusable by increased flooding from rising seas and storms, according to a recent climate report by the U.S. government. "Sea level rise and storm surge could completely erode two-thirds of southern California beaches by 2100," the report warns. That leaves residents of seaside towns like Del Mar with an alarming choice: stay and fight those impacts, or turn and leave. Del Mar has been having that discussion for years. The city is a national leader in that regard. But it also provides a good example of just how difficult and precarious even planning for sea level rise can be. "The feel-good here is gone," Imperato says, standing outside of his home. "I thought they were going to bury me here, but if someone offered [to buy my house], I'd take it. I'd walk away." 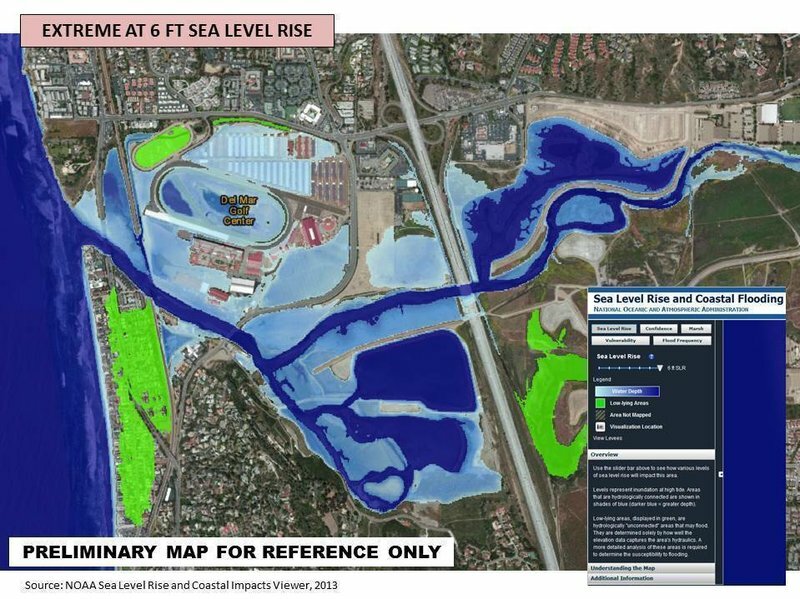 In 2015, Del Mar created a committee, consisting primarily of residents, to help identify the city's biggest vulnerabilities to increased flooding and to come up with a plan on how best to address them. They got grants from the state's coastal commission and worked with paid consultants. Del Mar's walkable beach — a huge draw for the town's 3 million annual visitors — could disappear by 2050. Sea levels here are projected to rise 1 to 2 feet by 2050, and as much as 5½ feet by 2100, according to scientific projections used by the city. The homes in Imperato's low-lying neighborhood faced a double whammy. Beach erosion and sea-level rise are likely to increase flooding during high-tide events and storms, threatening to overwhelm a long line of private seawalls that line the beach. "When those sea walls go, we go," says Imperato, who served on the committee. Increased precipitation from storm events, another expected result of climate change, may also bring more river flooding. The mouth of the San Dieguito River sits just north of Imperato's neighborhood. Knowing the risks, a few years ago, the city moved into the next phase of planning: how to adapt. 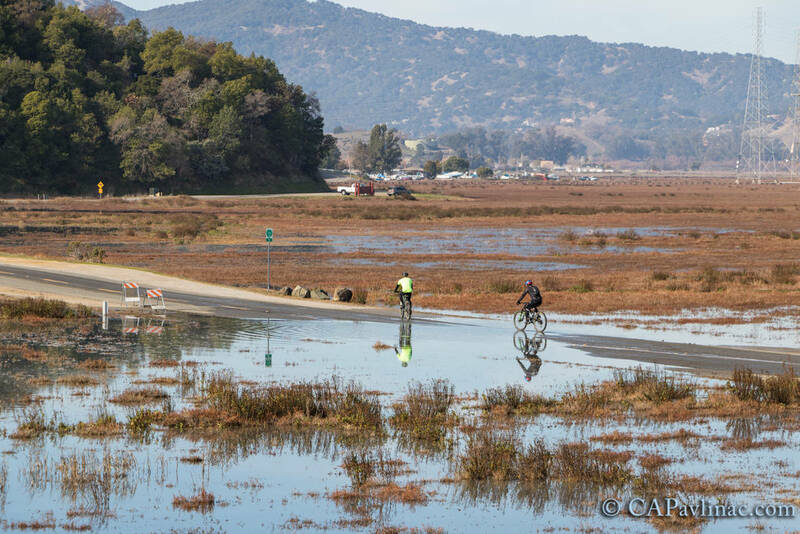 There are three broad adaptation strategies communities should look at, according to guidance policies provided by the California Coastal Commission, a state agency tasked with oversight of California's coasts. The first is protection — the creation of seawalls or other armoring to defend coastal developments. The second is accommodation — modifying buildings or developments to accommodate increased flooding. That includes changing zoning or elevating structures. The final option is the one nobody wants — an option that homeowners like Imperato describe as "the kiss of death." Retreating from sea-level rise can take different forms. It can mean changing zoning to limit construction in flood-prone areas. It can also mean removing or relocating development from vulnerable areas, using buyout programs or transferring property rights. Some communities in California are embracing the idea. At first, Del Mar was looking at it, too. The blowback, though, was almost immediate. Realtors' groups spoke out against the plan. Homeowners were hysterical. "What we learned from our community is that even the mere discussion of managed retreat, in the minds of some, completely devalues their property," says Amanda Lee, Del Mar's senior city planner. The concern was that if the city formalized a plan that included retreat, it would be harder for property owners to get loans or sell their land. Hearing those concerns, "we started crossing out managed retreat and replacing it with other words like 'not feasible here in Del Mar,' " says Terry Gaasterland, who chaired the city's Sea Level Rise Advisory Committee. The City Council even went as far as to pass a resolution banning future city councils from planning for retreat. There were practical reasons for the decision, Gaasterland says. The median home value in Del Mar is about $2.5 million, according to the real estate market app Zillow. One oceanfront house in Imperato's neighborhood is listed for sale for $24 million. 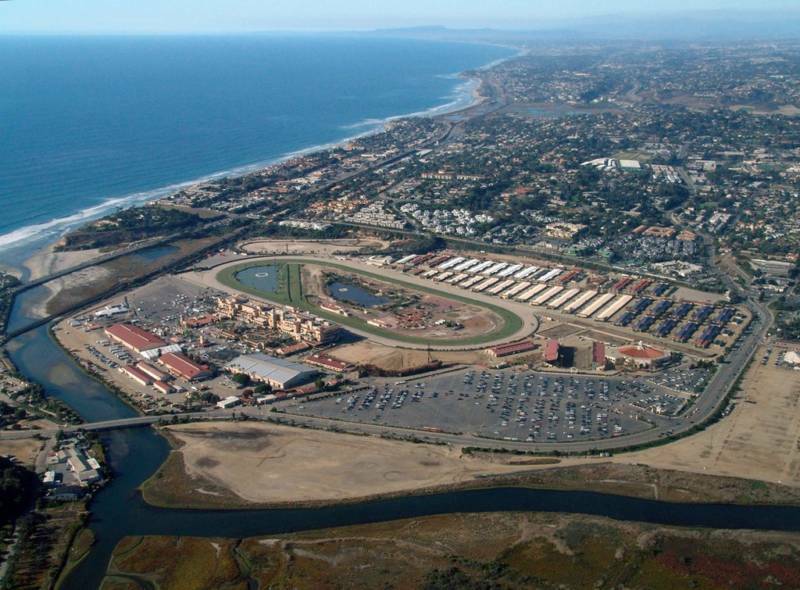 "In Del Mar, market value of all the properties in the managed retreat zone is estimated at $1.5 billion," Gaasterland says. "Who's going to pay for that? Certainly not the city of Del Mar." Another problem is the topography of the area. There are bluffs to the north and south of Del Mar, making relocation of residents nearly impossible. Instead, the town approved a plan that included strategies like sand replenishment for its beaches and dredging of the San Dieguito River to lessen the chance of flooding. That plan was sent to the state's coastal commission, where it's waiting for review. The California Coastal Commission, for its part, isn't penalizing cities that don't embrace the idea of managed retreat. Madeline Cavalieri, a manager with the commission, says there's no one-size-fits-all solution for dealing with sea-level rise; different cities need to consider a combination of different strategies. The idea, though, is to prepare. "Over the past however many years, people have thought, 'Well I'm purchasing a home, I'm buying a property, this property is going to be here forever.' We now understand with sea-level rise that there are going to be locations where we can no longer count on the fact that house is going to be there in perpetuity," she says. Homeowners like Imperato are not denying that sea-level rise is happening. He and others in Del Mar will tell you that they've seen the beach shrink and the high tide creep ever higher. But for many, the more devastating effects still seem far away. "We're not worried about the actual hazard because you can accept Mother Nature, and that may happen 100 years from now," Imperato says, "What we're afraid of is the regulations that are going to affect us today or tomorrow." Imperato, like many homeowners in Del Mar, was happy that the city said no to managed retreat, but he's still frustrated that it was considered in the first place. He believes damage to property values has already been done and says he has told a real estate agent to "pocket list" his house. 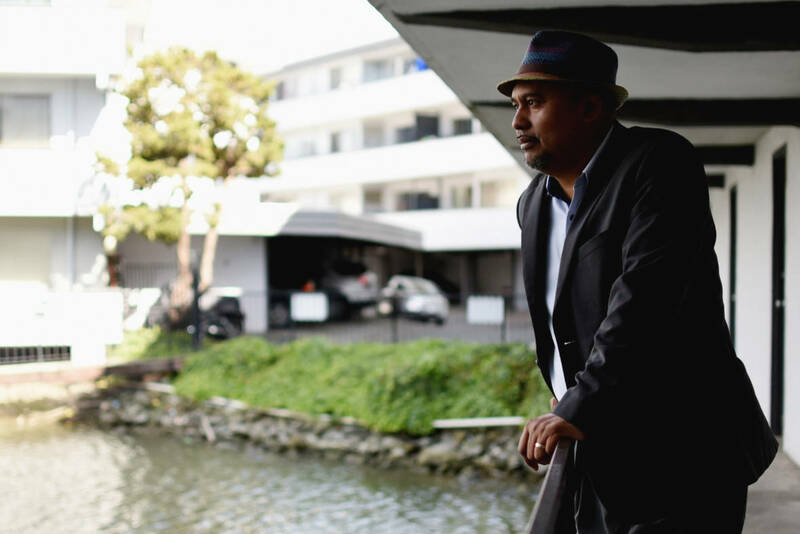 "Pocket listing is you want to sell your house, but you don't want to put a sign up with everyone else because then it's a race to the bottom," he says. Dwight Worden, a city councilman who serves as Del Mar's mayor, is sympathetic to those concerns but says the city needed to consider managed retreat. "If you pretend that you did a scientific study of risks and options in your community, but you didn't study retreat, your study has no credibility," he says. "It needs to be studied." Worden agrees that in Del Mar, managed retreat does not make sense. He doesn't believe it's feasible. But he's also realistic about the challenge sea-level rise presents. "At some point you're left with two options. You either organize a retreat, or you do what's called evacuation and you call FEMA because you're flooded out," he says. "We realize that's the end of the line. But we want to try Plan A. And if Plan A doesn't work, we think there may be a Plan B. We want to do everything else we can first." In other words, he says, the city would rather hold off the water as long as it can.